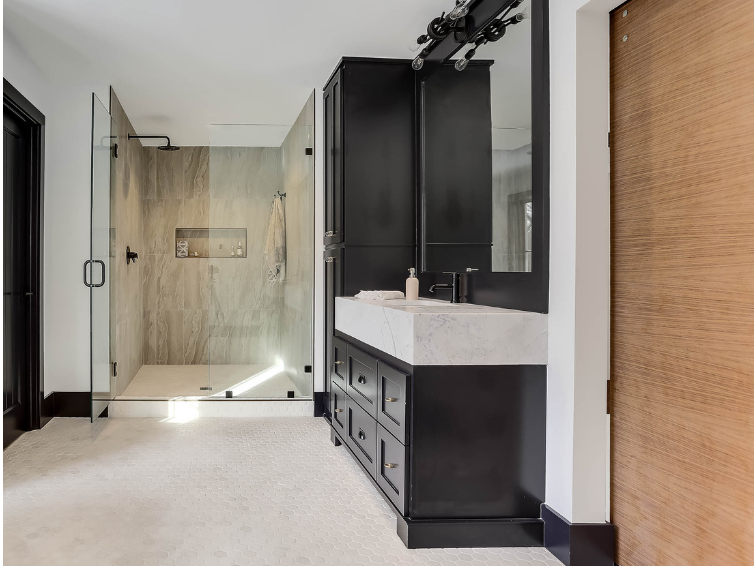 A space that invites you to step inside and stay awhile. 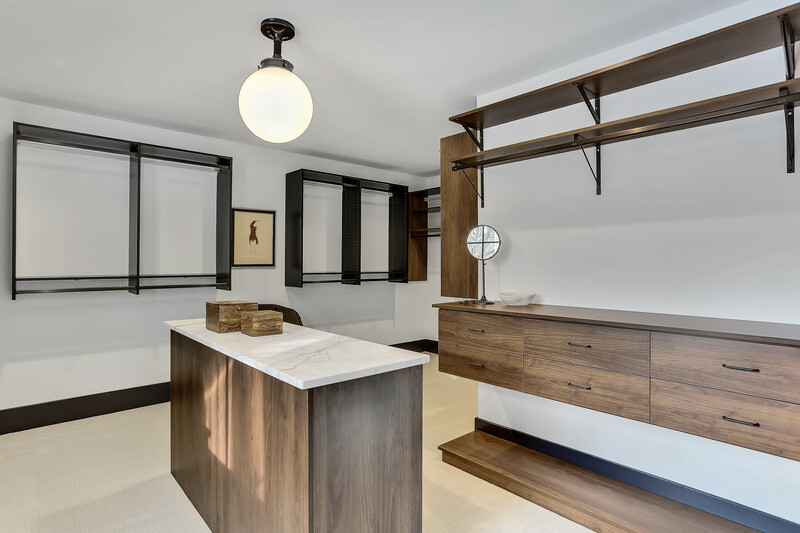 This custom walk-in closet designed for a West Bay Homes model home in Minnetonka is a wonderful example of the beauty of going beyond a white finish. 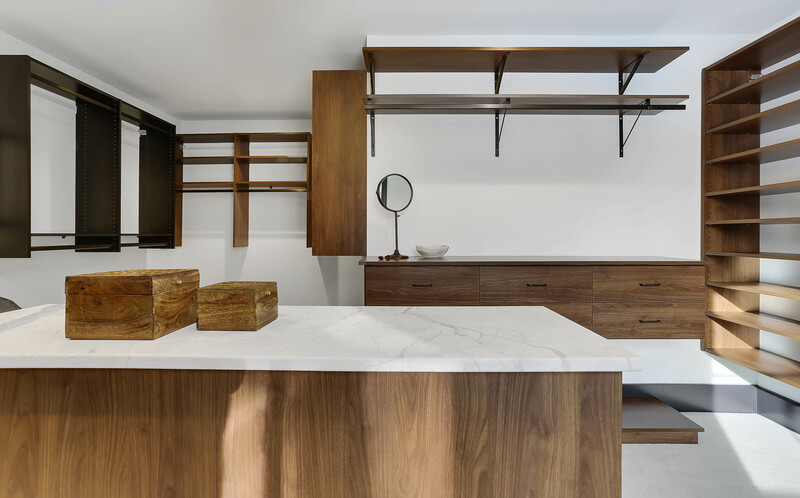 Accessed from the master bath, this spacious walk-in closet features an American Black Walnut finish complemented by modern oil rubbed bronze hardware. 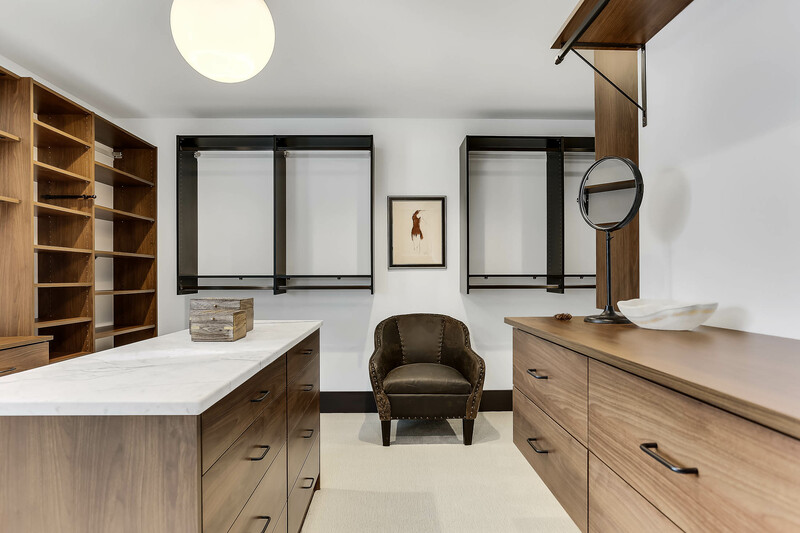 Elegant finishing touches and comfortable seating lend to the closet a wonderful living space feel, helping ease a homeowner into the start and end of each day. 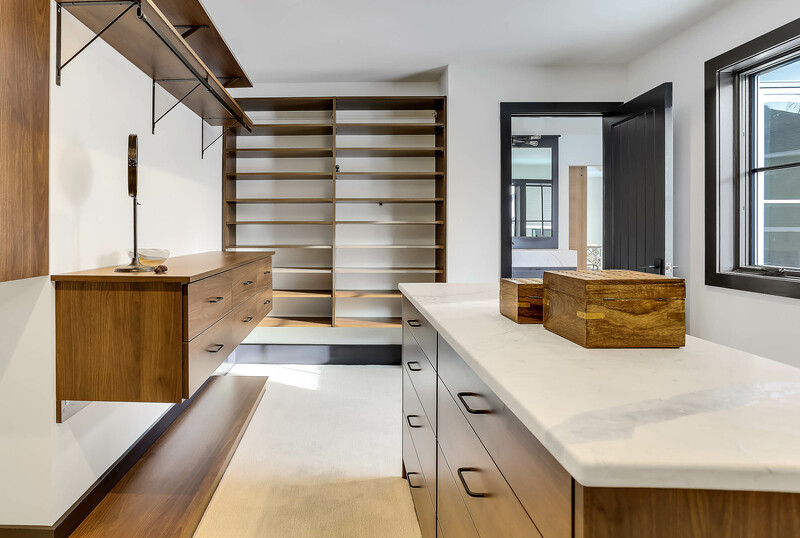 Prioritizing function as much as beauty, the space includes ample hanging space, a closet island with built in drawers and jewelry tray, a stunning floating dresser with additional drawer storage, shoe shelving and belt racks.